As a group of experienced real estate specialists, RE/MAX of Bartlesville is committed to marketing your property in the best possible manner, and finding the right buyer at the right sale price. We are prepared to answer all of your questions and how how effectively we can help market your home. Contact us today! 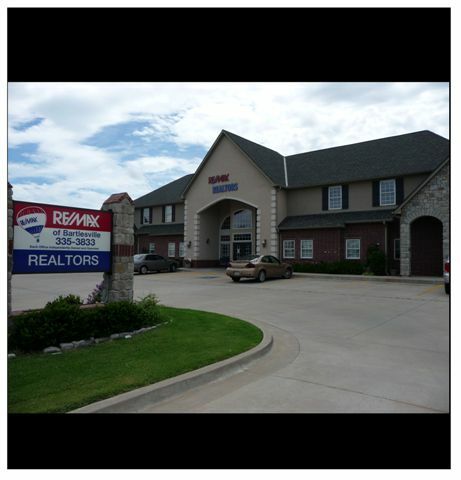 You work with a real estate professional like the realtors at RE/MAX of Bartlesville because we are best able to sell your home quickly and profitably. But remember: Your relationship with your real estate professional is a partnership. While we market your property and screen potential buyers, it is up to you to give your home a simple, inexpensive sprucing up that can go a long way toward a speedy sale. The actual cash value of your property is the price that someone will pay for it in today's real estate economy. We will walk through your entire property with you. As for guidance concerning improvements that could be made prior to showing your home to potential buyers. With a little preparation, you may very well increase the value of your property! The exterior of your home often determines how buyers will view the interior. Buyers will register their first impression even while they are still driving up to your property. Examine the exterior carefully. Make sure that lawns, trees, and shrubs are well manicured and look healthy. Paint or replace your front door if it is faded or worn. Add some paint to shutters, trim, and any other outside features showing signs of wear. Add blooming flowers here and there for that little extra color. Buyers often see the surface condition of your home as a sign of what is underneath. Mentally place yourself in the buyer's shoes as you enter your home. If you see imperfections or uncleanliness, the buyer will see it too. Make sure window coverings are clean and bright. Repair loose knobs, sticking doors and windows, broken light switches, and other minor flaws. Clean doors and door jams that show signs of "hand" traffic. Ensure kitchen appliances operate properly. Remove everything possible from your closets, storage spaces, attic, and basement, even if you have to pre-pack it for moving. Spacious and tidy closets, cupboards, and rooms are attractive to prospective buyers. Consider renting storage or having a garage sale to dispose of extraneous items. The same is true for each room in the house. Is there too much furniture? Too many personal treasures sitting around? Too many large plants? These items tend to decrease the size of your rooms. Arrange all your rooms neatly and remove excess furniture. Keep fresh, clean towels in the bathroom. Use candles or air fresheners to make the room smell pleasant. Repair plumbing leaks and faucet drips. Clear clogged drains and repair slow flowing toilets. Make sure all electrical outlets work properly. Accent the positive aspects and unique features of each area of your home. Create the right mood and atmosphere given the room's function, color scheme, etc. The higher you price your property, the fewer the people who will come to see it. After reviewing sales prices of comparable homes in your area, you are ready to set a fair asking price for your property. Remember the money spent upgrading the kitchen and the custom shutters in the den do not necessarily equal a higher asking price than what the market currently entertains. Buyers can be more sophisticated in comparing properties than sellers because they have no emotional attachments to the properties. After all, it was not their hard earned dollars that installed the lovely spa in your yard...to a buyer, it is just a spa. The bottom line is, set a higher price and play the waiting game; or, set a realistic price and prepare to move! Based upon the asking price, we will prepare a "net sheet" for you. This worksheet itemizes costs associated with selling your property and subtracts them from the sale price, thus estimating net cash that you will receive from the sale. When you have set your price and are ready to sell, we will help you complete a Listing Agreement. This Agreement authorizes the listing broker to market your property under certain conditions, including but not limited to terms, price, commission, and time period of the listing. When signed by both parties, this Listing Agreement becomes a Contract between you and the broker. We will now start the wheels in motion to show your home to as many real estate realtors and prospective buyers as possible. The single most important place to promote the sale of your property is through the multiple Listing Service (MLS). Information about your property will be entered into the MLS computer data bank for immediate access by other realtors. Approximately 60% of all buyers actually come from referrals between brokers and realtors. Next, a "For Sale" sign will be displayed upon your property, and we will create a listing flyer for realtors and buyers. At least 20% of all buyers come from advertising, signs, and other promotional efforts made by the broker. Your realtor may ask to hold "open house" at your property in an effort to attract extra attention to your home. Additionally, your property may be promoted in local classified advertising sections of magazines or newspapers. Buyers often feel uncomfortable in the presence of the homeowner, because they prefer to be able to speak openly when it comes to complimenting features or verbalizing objections. Try not to be present during showings or inspections. Avoid participating in conversation between the realtor and the buyer. If you are home when the realtor arrives with buyers, graciously green them and excuse yourself. If asked a specific question about your home, answer as briefly as possible and let the realtor continue the conversation. If you are home, never apologize for the appearance of your home. When an open house is scheduled, arrange to be away during that time. Only your broker should discuss any objections and subjects like price, terms, possession, and other factors with the buyers. Potential homebuyers have a lot to take in, so minimize distractions. Pipe in classical, jazz, or soft rock music, but keep the volume low. If possible, turn off the ringer on your phone during showings. Keep cats, dogs, litter boxes and feeding dishes out of the way - preferably out of the house. Create a pleasant aroma by baking cookies or bread, or placing cornmeal in a pie plate in a warm oven on the day of the showing. Make sure it is neat and clean - no dirty dishes or unkempt rooms. Keep the heat or air conditioner at comfortable levels. If you have a fireplace, light it during wintertime showings. Even if a buyer does not study them, having records available can make it clear you are conscientious and have nothing to hide. Have copies of your gas, electric, and water bills from the last 12 months available. Be ready to show all home improvement and repair bills. When a buyer signs an offer to purchase your home, either your realtor or the buyer's realtor will present the offer to you in person or via phone, depending upon custom and your availability. The written offer to purchase should include detailed information about the buyer's offer. Together with your realtor, you will review the price, the amount of earnest money deposit, the proposed closing and occupancy date, the contingencies, and the buyer's ability to qualify for a loan. When you and the buyer have agreed to all terms and conditions of the offer, you have both signed the document, and the buyer has been notified of your acceptance, the document becomes a valid sales Contract. At the closing or settlement, you and the buyer will each have completed the conditions and met the terms pursuant to your contractual agreement, and Title to the property will be conveyed to the buyer. Your realtor will make sure you are helped through the myriad steps of closing, including handling of the many details. Following the closing, you will receive a final settlement statement for your records that clearly illustrates all fees paid by you to close the Contract.